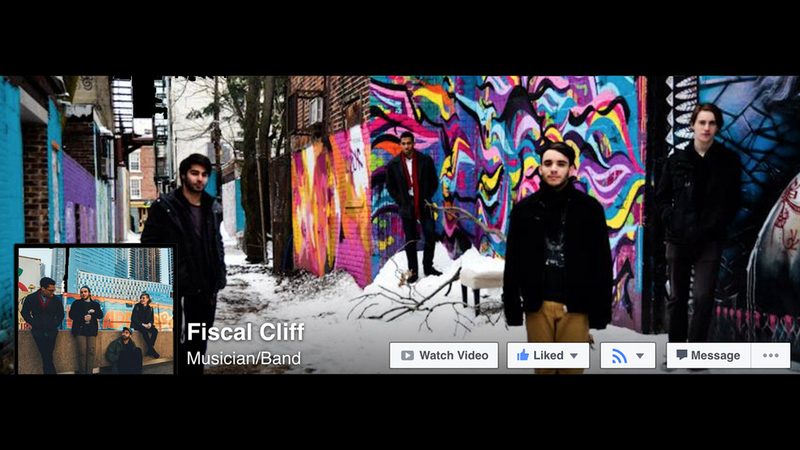 Fiscal Cliff emerged in the New Jersey scene in late 2012 as a group of high school buddies aiming to explore beyond their horizons. Since then Fiscal Cliff has become a force to be reckoned with in DIY scenes of Brooklyn, Jersey City, and New Brunswick, invoking the sonic influences of indie rockers Dr. Dog and Delta Spirit, along with masters of melody Ben Howard, My Morning Jacket, and The Growlers. Many venues have experienced the rhythmic basslines, idiosyncratic "guitarmonies" whose synergy brings audiences to standstill sways or euphoric chaos, coinciding with heavy drum grooves and densely orchestrated melodies.